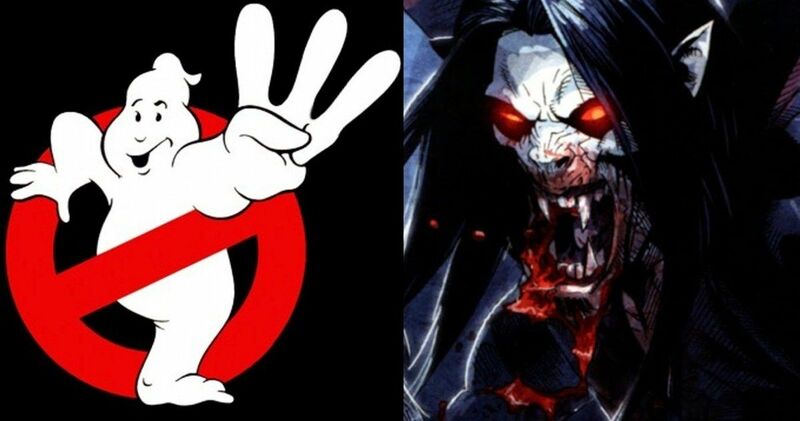 Sony has revealed that Ghostbusters 3 and Morbius the Living Vampire will be released in the summer of 2020. Ghostbusters fans were given some great news last week when it was revealed that Jason Reitman was taking over to make the long-talked about sequel to the original two movies. As for Morbius the Living Vampire, the Spider-Man spin-off movie is supposed to start filming next month and just revealed that Matt Smith was cast in a major, and unknown, role. Ghostbusters 3 will hit theaters first on July 10th, 2020. This is even more excellent news for fans who have been wondering when they’ll finally get to see the third installment. The working title for the project was recently revealed to be Rust City, and fans are trying to find if there is a hidden meaning behind it, other than just the teaser video that showcased the iconic Ecto-1. Whatever the case may be, the July release date seems like a perfect fit for the latest Ghostbusters installment. As for Morbius the Living Vampire, Sony has opted for the July 31st, 2020 release date, just weeks after Ghostbusters 3 hits theaters. This confirms the rumors that the movie was aiming for a July release date. This also means that the Spider-Man spin-off could arrive just a few months ahead of Venom 2, which is rumored for an October 2020 release. Sony is going big on their plans to expand the Spider-Man universe after the unexpected success of Venom. Tom Hardy’s take on the character was huge at the global box office and especially China, which gave the movie a late boost in earnings and prolonged the theatrical run. The stories for Ghostbusters 3 and Morbius the Living Vampire or being kept under wraps for the time being. Sony will more than likely take the same approach that they did while they were making Venom and will try to keep everything a secret until the movie is released. And for the most part, they were successful, which means we won’t be hearing too much more about Morbius from the studio until the promotional campaign kicks off in 2020. The same thing can be said for Ghostbusters 3, though maybe not to the extent of Morbius the Living Vampire. Jason Reitman is going to have some tricks up his sleeves, but once casting details are revealed, we’ll have a good idea as to what will happen in the movie. Obviously, the main question on everybody’s mind at the moment is whether or not Ernie Hudson, Dan Aykroyd, and Bill Murray will take part in the new installment. While nothing has been officially confirmed, it seems highly likely that at least a few of those names will show up when July 2020 rolls around. The Ghostbusters 3 and Morbius the Living Vampire release dates were first announced by Deadline.